Wind Chime is an original owner lightly used Island Packet reluctantly offered for sale. It is well equipped and offers several recent upgrades including a new canvas enclosure. It has A/C and generator and will be a comfortable offshore cruiser for her next owners. West Florida Yachts would love to guide you through a personal showing of this 46' Island Packet 465 2009. 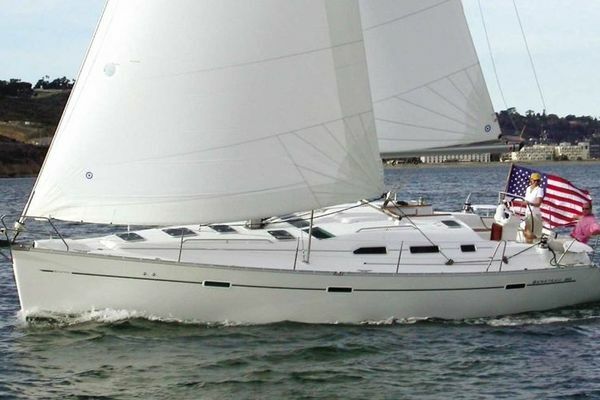 This yacht for sale is located in Wickford, Rhode Island and priced at $499,900. For a showing please contact us by filling out the form on this page and we will get back to you shortly! There is a guest stateroom forward with a centerline queen, next aft on port is a head with stall shower and entrances from either the salon or the guest stateroom. The salon is next aft with port and starboard settees and a custom made teak fold down dining table. Aft in the salon on port is a traditional Nav Station with complete instrumentation. On the starboard aft is the galley which doubles as a walk through to the aft stateroom. The master has a walk around queen on port and an upholstered built in chair on starboard. There is an entrance to a private head with stall shower. Wind Chimes has been lightly used in Narragansett Bay, Rhode Island Sound, and Buzzards Bay. Her owners are particular to maintenance and have upgraded the enclosure, recently varnished the toe rails and external teak, and have maintained and kept her in new condition.